Number Talks! Get your students Talking about Math! Do your students struggle to make sense of mathematical concepts? Do your students solve mathematical problems using only one strategy? Do your students struggle with mathematical conversations? 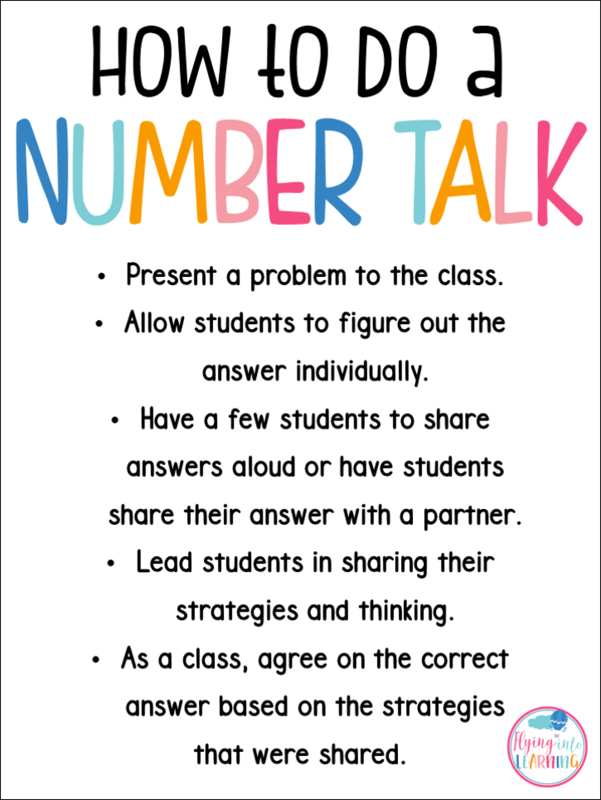 I introduced number talks at my school on last year and they have made a difference in many classrooms. 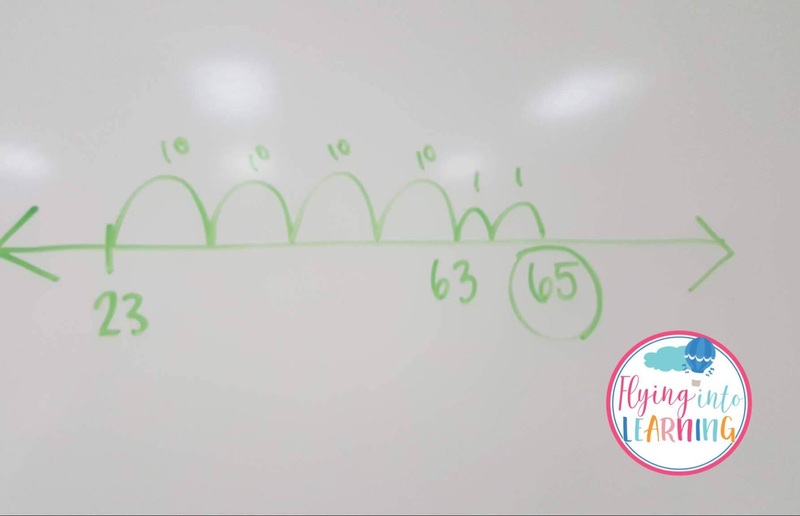 In this post, you will learn the 5 basic steps to conducting a number talk. 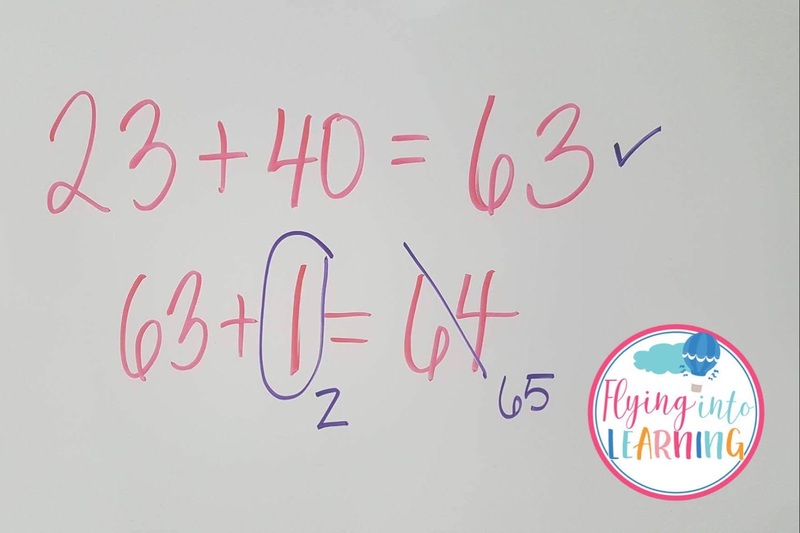 In future posts, we will explore more about number talks and resources to get you started in doing your own number talks. Students simply talk about the problem and share strategies they used to solve the problem. Students really dig deep into a problem and begin to discuss if they agree or disagree. They are also comparing solutions and helping each under reach understanding of the math. Students engaging in number talks lasting from 5 to 15 minutes. Number talks are meant to be a quick way for students to solve and talk about the math. 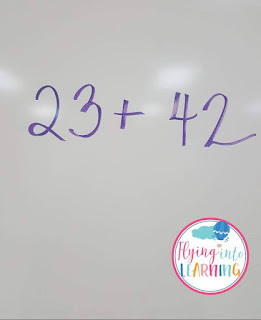 They can serve as a great intro to the math lesson. 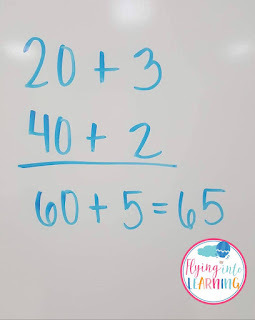 How to do a Number Talk? You can use the following 5 easy steps to get started with doing your own number talks in your classroom. Present a problem to the class. Problems can be presented in many ways. One way is as an equation. 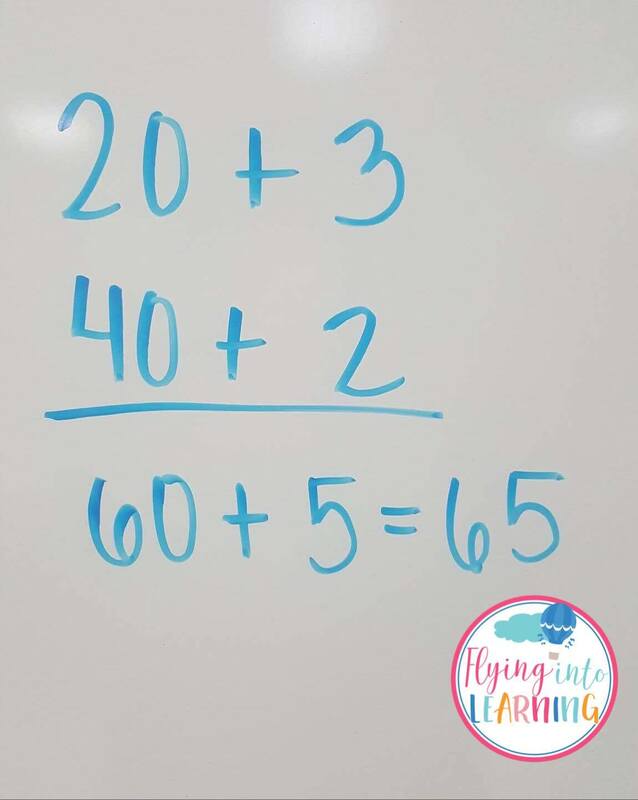 Allow students to figure out the answer individually. When students have an answer, have them to make a thumbs up and put it on their chest. This way students are not distracted by their classmates if they are still thinking. 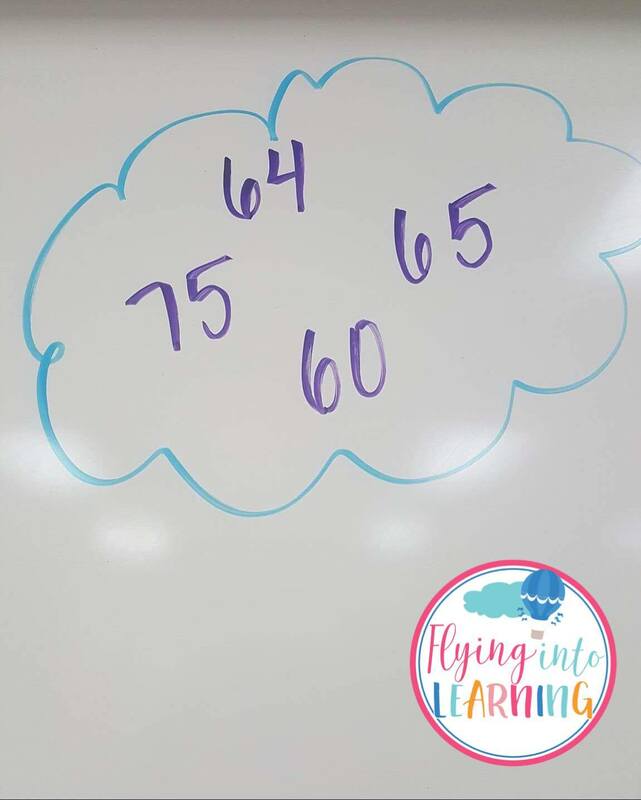 After students know an answer, you can encourage them to think of another strategy they could use. They should add more fingers to their thumbs up. Have a few students to share answers aloud or have students share their answer with a partner. Collect all the answers said or limit it to 4 answers. Lead students in sharing their strategies and thinking. As students share their strategies and thinking, record their thinking on the board and label their thinking with their name. 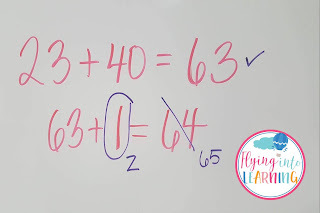 Students also identify the answer that they think is right and present a strategy to prove that is the correct answer. As a class, agree on the correct answer based on the strategies that were shared. During this time, students that got an incorrect answer are able to see what went wrong in their strategy and they are able to agree with the class. Discussing these misconceptions as a class helps students to deepen their thinking. 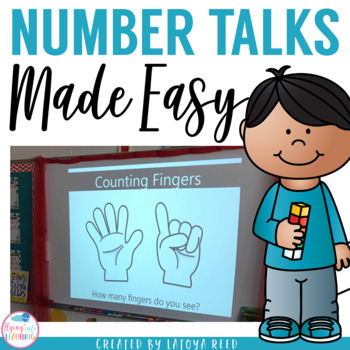 I hope you will enjoy the free resource below as you start on your number talk journey. I developed some number talk powerpoint resources for K-2 early number sense. They have made my life so much easier. Simply start the slide show and display as you are ready. Click here to see more info! these exercises will certainly teach my children to count! thanks for your help! This is an interesting technique, really. I had a lot of problems with understanding math when I was a schoolgirl so I really appreciate the concern on that topic and different ways to solve this problem. Thank you.